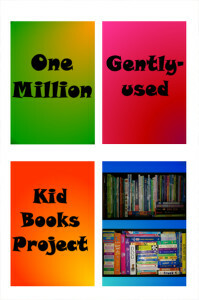 One Million Gently-used Kid Books Project. The Behavioral Health Team collects gently used books for children. The goal is to collect one million books and give them away to children in Head Start and other organizations serving children. To learn more about this project, click here. The Behavioral Health Team presents the Second Step program to all children in Head Start. Second Step teaches children “social-emotional skills for early learning” (e.g., empathy, emotion management, problem solving). Typically a team member visits each classroom twice a week to lead each 20-minute lesson. Within 45 days of enrollment, the Behavioral Health Team conducts an observation of each child. After the observation, a team member asks the teacher about any social, emotional, or behavioral concerns. The screen also includes a questionnaire completed by the parent. Parents also have the opportunity to share any other concerns they have. If there are concerns noted during the initial screen, the Behavioral Health Team conducts a follow-up observation. Parents and teachers can refer children to participate in S.H.A.R.E. Groups (Social Health and Academic Readiness Enrichment) led by the Behavioral Health Team. Lessons include topics such as: playing with friends, following instructions, and paying attention. Parent consent is required for participation. A Parent Conference is a meeting set up by the Behavioral Health Team when a behavioral health referral has been made (usually by a parent, the teacher, or through the screening process). The primary goals of the meeting include conducting a parent interview and getting the parent’s permission for intervention and consultation. The Behavioral Health Team provides brief workshops during some of the regularly scheduled Head Start parent meetings. 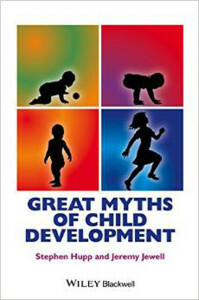 Parenting tips are used from the Center on the Social and Emotional Foundations for Early Learning (CSEFEL). Parents also sometimes join the individual interventions or are otherwise provided feedback during the parent conference. Occasionally, parents are referred to outside agencies for additional help. Teacher consultation is interwoven throughout every aspect of behavioral health services. Sometimes teacher consultation is provided for individual children (with parent consent), and other times it is provided for entire classrooms. Additional training is also available for teachers. Small Group & Individual Interventions. Sometimes intervention is done with small groups of children and sometimes it is done individually. Usually intervention includes relationship building and behavioral skills training. Relationship building is an important component to parent-based interventions, and it is being used more frequently with teachers. Behavioral skills training is a broad term used to describe a method for teaching news skills to a child. The basic components include: Modeling (show them what to do), Instructions (tell them how to do it), Rehearsal (let them practice the skill), Feedback (let them know how they did), & Reward (provide some type of reinforcer). For many children, in-class coaching of skills is also used. Parent consent is required for participation. The Behavioral Health Team is also available to help children, families, and teachers deal with crises, as needed. Note: Dr. Hupp does not provided additional clinical services outside of the East St. Louis Head Start program. To learn about his recommendations for resources, click here.